One last week for the picture at the left. In another week, most of the leaves will be gone and even though it won't officially be winter yet, it will start to feel that way. Try as I might to not think about winter coming, it's hard to avoid when the five-month season of bare branches has begun. I'm working hard making things warm and cozy and bright around here to avoid getting dragged down - I'm burning candles, making hardy breakfasts, walking outside as much as I can. What haven't done this week is very much reading. I'm distracted by too many other things and working through a book that's not grabbing me. I'm so distracted, in fact, that I've actually started to plan Christmas decorating! A lot of what distracted me this week was good stuff. I got a new phone on Monday so I spent an evening setting that up. Thursday we went and voted early so we spent a good part of Wednesday evening researching our choices. And Wednesday, I signed up for NaNoWriMo (more on that later). Listened To: I finally got The Hate U Give Back and have finished that. Today I'm starting, at long last, Sheri Fink's Five Days At Memorial. Some of my Litsy friends tell me it's a tough one to keep track of on audio but I'm going to give it a shot. 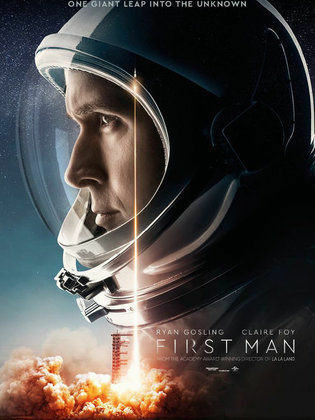 Watched: Last night The Big Guy and I went to First Man, the story of Neil Armstrong, starring Ryan Gosling and Claire Foy (The Crown). Their performances were both fantastic. The movie is a curious blend of very intimate, quiet moments and, as you would imagine, very big, loud, incredible moments. We both liked it a lot but it's a surprisingly slow movie and I'm not sure it's a movie for everyone. Read: I've been working on John Boyne's Ladder To The Sky this week. It may be too close toe Andrew Sean Greer's Less for me; I'm having a hard time getting in to it. Today I'm moving on to Apollo To The Moon, a nice tie in to having just seen First Man! Made: BG made broccoli-cauliflower soup which we enjoyed for a couple of meals. We also ate out three times and had popcorn for dinner at the movie one night so there wasn't really a lot of cooking in our house this week. Enjoyed: Celebrating our 36th anniversary on Tuesday and two evenings with friends. Last night we got together with friends we've known for decades but haven't seen in more than a year. Their daughter, son-in-law, and grandson joined us later so it was fun to catch up with them as well. 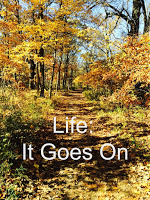 Planning: On spending a fair amount of time working on my novel. Partly because I'm already behind. To stay on track with writing 50,000 words in one month, writers need to be cranking out almost 1700 pages a day. So I should be at 6800 pages by the end of today. So far, I've written about 1700. I'm hoping to get another 1700 done today. I'll share more on this as the month progresses. Thinking About: Bangs. I got talked into a haircut yesterday that included bangs. I'm learning to like them but I haven't had to make them do what I want them to do myself yet. We'll see if I can figure that out and then I'll decide if I keep them. Feeling: Excited to get off the computer and down to the basement to start working on cleaning out some stuff. BG's agreed to help and I'm going to be so happy if he actually bags up some things! Looking forward to: I'd like to say the election on Tuesday but after election night two years ago, I'm nervous. We may go to a movie and ignore the results until later in the evening. 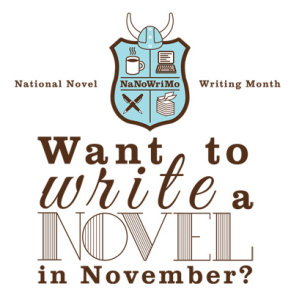 Question of the week: Have you ever considered writing a novel? Have you ever actually written one? If so, what tips can you give me for staying on track? I thought Five Days at Memorial was great on audio! Oh, I really want to read 5 Days at Memorial. 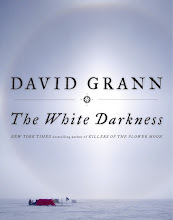 We used to live in New Orleans, and I have heard SUCH good things about this book. Good luck with NaNoWrMo! I really hope you mean 1700 WORDS a day and not pages - not sure that would be doable lol I write nonfiction and just don't have the flexibility in my schedule to commit to that much daily writing right now (maybe someday), but I wish you luck!! Enjoy your books - and your writing this week! Since my 20s I've wanted to write a novel but lately, just recently like by a few weeks, I've been thinking about non-fiction, faith-based, something. It's percolating. I saw your FB post about getting into an accident. I guess the weather near you is already bad. We are still warm but the winds are out of control and everything is burning.